That’s what I asked Sam as soon as my unsuccessful bow season ended. 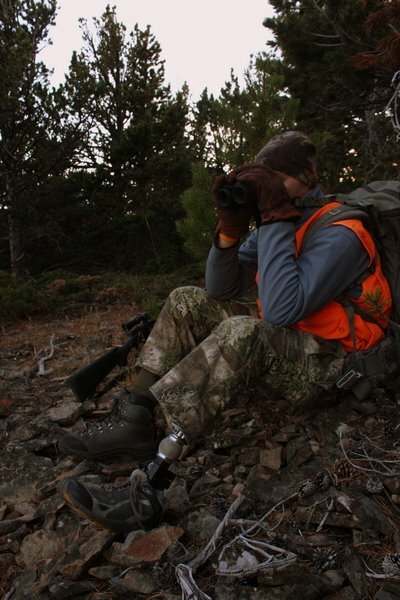 Sam is my hunting partner of six years, but he’s never around these days, busy training for the 2012 Paralympics’ Cycling events, while traveling the country as a motivational speaker. 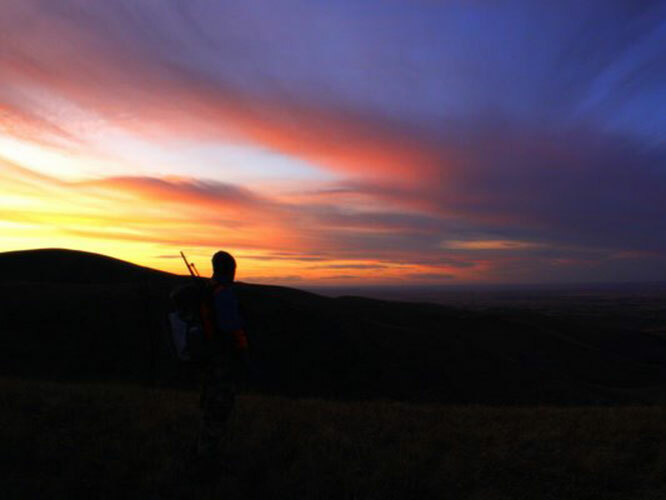 “The Hills” is our annual hunting trip, and since Sam grew up hunting, he should know that tradition is everything. He could only squeeze one long weekend out of rifle season, and it was all we needed to pack up the Sprinter and head north. 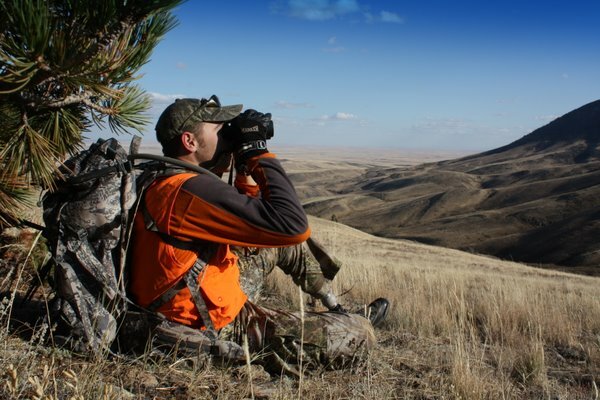 We drove five hours and talked about where we might find some big Mulies, knowing that in late October, the deer hold high, waiting ’til mid November to head down to the wheat fields to rut. We settled on putting our MR packs, and our legs, to the test and hauled up to a high ridge line where we could set up camp. The weatherman called for 50 degrees and calm and was wrong as usual. What he meant was 30 degrees with 70-mile-an-hour gusts – not necessarily the conditions you want when camping on a ridge. But we stuck it out like most Montanans would. 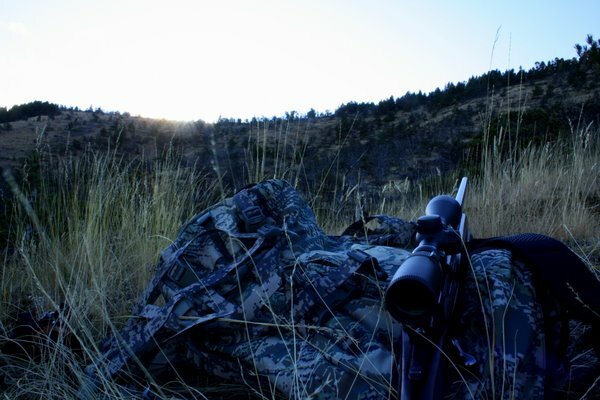 Our morning hunts were focused “grocery shopping” with our Mule Deer B tags, while afternoons and evenings were geared up for getting into the big boys. Our MR packs worked great for hauling our gear during the four days we spent hunting and stalking. They were, in all honesty, the most comfortable packs either of us have ever worn. I only wish I could tell you first hand how great they are at packing out a mule deer. Regardless, Sam and I share similar sentiments. 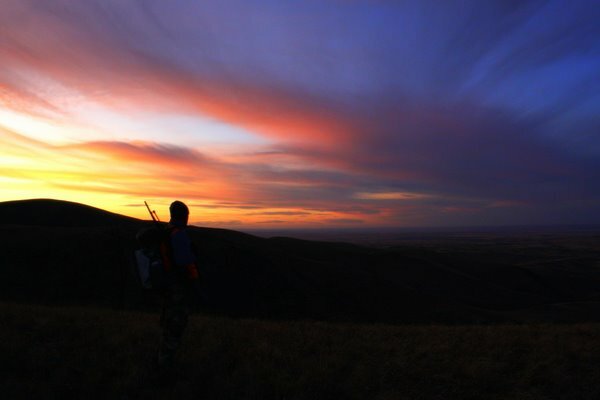 It never is about how big of an animal you harvest – but who you’re hunting with. It’s about the lessons learned in the field, and stories shared around camp. Sam has been traveling to The Hills with his father since he was 12, and I pray that Sam and I can continue that legacy with our own sons. They’ll get to experience for themselves what Sam and I see every year: mountains sprouting out of nothing, wild places, and the opportunity to explore them in the way the one who created them intended.